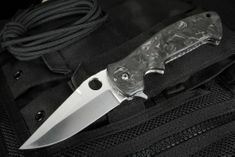 If you are not familiar with Crawford Knives, they are one of the leading craftsmen of fine tactical folders. 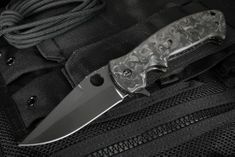 Pat Crawford has been making knives for about 25 years and has been a member of the Knifemaker's Guild and a full time knife maker since 1975. His son, Wes, works full time with Pat and has been around a knife shop for 20 years. 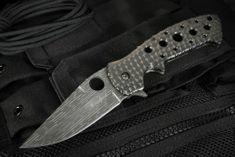 Crawford Knives are hand-made using the finest materials available. 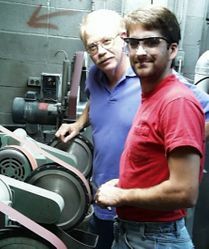 Pat and Wes are always searching for new and better materials for their knives. This way you get the best technology along with the care of being hand crafted. 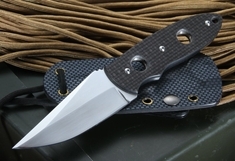 Each Crawford knife varies a little, giving each a unique quality not found in a factory knife. 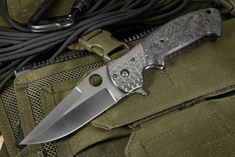 The majority of the knives made are of tactical design. They are designed first for function and performance as a serious self-defense tool, used by law enforcement and the military. 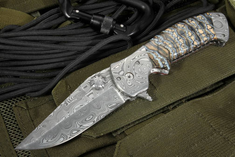 Many of these knives also go to individual collectors who appreciate the beauty of a combat knife.